It’s that time of year again for employers who hire foreign workers, most often talented individuals who first came to the US as F-1 students to complete Bachelor’s, Master’s or other degrees from U.S. universities. It is time to begin preparing for H-1B cap filing season. The H-1B visa is the most common visa used by foreign nationals working in professional occupations in the U.S., but Congress limits the number of new H-1Bs that may be approved each fiscal year. The cap provides 65,000 H-1Bs for individuals with Bachelor’s degrees or the equivalent, and an additional 20,000 for those with Master’s degrees (or higher) from U.S. universities. Based on the volume of applications in the last few years, the number of H-1B applications is expected to again significantly exceed the supply and result in a lottery to determine who will be considered for one of the 85,000 available H-1B slots. For example, the USCIS received 172,500 H-1B applications in 2014, 233,000 in 2015, 236,000 in 2016, and 199,000 in 2017. The first day to file for a “cap-subject” H-1B for the upcoming fiscal year is April 2, 2018 (April 1 is a Sunday). If selected and approved, the start date for these H-1Bs will be October 1, 2018, or later. While it seems a long ways off, the complexity of the necessary pre-filing steps in the process requires starting months in advance to ensure the filing of an approvable application. As such, we recommend starting immediately on any applications that will be filed towards this year’s H-1B cap. 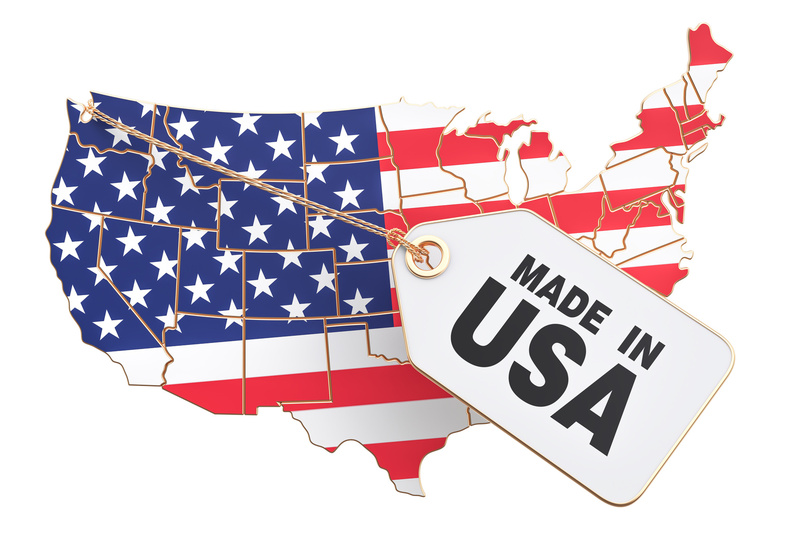 Early preparation is particularly important in light of the various changes to government policies, largely in response to President Trump’s “Buy American, Hire American” (BAHA) Executive Order, issued on April 18, 2017. While the Executive Order has yet to result in any substantive changes to federal law, the various government agencies involved in adjudicating and reviewing immigration benefits are implementing policies that make it more difficult to hire and maintain H-1B workers. Wholesale Use of Requests for Evidence (RFEs). An RFE is a request that the USCIS issues after any application for any immigration benefit is filed, to request additional documents that may not have been submitted with the initial application. The USCIS is now issuing massive amounts of RFEs for H-1B applications, often because the position is entry-level or because the USCIS doubts that the occupation truly qualifies for H-1B status based on it being a “specialty occupation” (a professional level position that requires a specific degree). These RFEs are even being issued for occupations that appear to obviously satisfy the statutory requirements for H-1B status, such as for doctors and engineers. No Deference to Prior Immigration Approvals. On October 23, 2017, the USCIS announced that it would no longer provide any deference to prior immigration approval, and that all applications would be reviewed anew. This means that an employer filing an H-1B extension for an employee who has already been approved by the USCIS to work for that employer, and has likely already worked for many years, is just as likely to receive an RFE as a new petition. This means employers will be required to provide extensive evidence to the USCIS, even if such evidence had already previously been provided. Administrative Processing at U.S. Consulates Abroad: Based on the Executive Order, the Department of State (DOS) is adjudicating nonimmigrant visa applications with the goal to “create higher wages and employment rates for workers in the United States, and to protect their economic interests.” H-1B employees who travel abroad and need to apply for an H-1B visa at a U.S. Consulate, should be prepared demonstrate how their position satisfies this goal and also prepare for the possibility of administrative processing of their visa application. Administrative processing is the time period during which a visa application undergoes additional review that is outside of the normal visa processing time (usually a few days). There are a multitude of reasons why an application may be selected for administrative processing, and such applications can take up to several months to be cleared, during which time individuals cannot return to the U.S. to resume their H-1B employment. FDNS Site Visits: The USCIS’s Fraud Detection & National Security Directorate (FDNS) conducts unscheduled site visits at offices and worksites used to employ H-1B workers in order to confirm the terms of employment indicated on the H-1B petition filed with USCIS. Employers not only want to ensure the accuracy of any information filed with the USCIS, but also timely file H-1B amendments in the event of material changes to such employment, such as changes to work location or position, to ensure that they are compliant in the event of an unscheduled site visit. During a site visit, the FDNS officer typically speaks to both the employer representative and the employee regarding the terms of employment. H-1B Cap Lottery Pre-Registration and Selection. Plans to propose a new rule that would require all H-1B employers to first pre-register for the H-1B lottery, and only those registered employers will be able to submit H-1B petitions towards the cap. DHS may announce this proposed rule as early as February 2018. Priority to Allocate H-1Bs to the Best & Highest Paid. As introduced in the BAHA Executive Order, the agency will propose a new rule that would create a priority system for the allocation of H-1Bs to those that are most highly skilled and highest paid. DHS may announce this proposed rule as early as February 2018. Changes to H-1B Eligibility. DHS plans to propose a rule that would change the meaning of the employer-employee relationship for H-1Bs (likely making it more difficult for consulting companies to use H-1Bs), to require higher wages for H-1B workers, and to change the definition of “specialty occupation” so that H-1Bs are only used to employ the “best and brightest.” DHS may announce this proposed rule as early as October 2018. Termination of H-4 Work Authorization for Spouses of Certain H-1B Workers. DHS plans to eliminate the ability for H-4 spouses of certain H-1B workers to apply for employment authorization (EAD), which was introduced in February 2015. DHS may announce this proposed rule as early as February 2018. Changes to OPT and CPT Work Authorization for F-1 Students. Immigration & Customs Enforcement (ICE) also plans to restrict the use of Curricular Practical Training (CPT) and Optional Practical Training (OPT) work authorization used by F-1 students, and to require additional employer obligations for employers that employ them. ICE may announce this proposed rule as early as October 2018. The policies already implemented after the BAHA Executive Order, as well as the new regulatory agenda, will significantly affect business immigration, and particularly the H-1B process. While the substantive regulatory changes are still only ideas, and immigration reform has always been difficult, it is safe to assume that certain changes will be made into law. We recommend working closely with immigration counsel to devise a strategy to prepare for these changes, and recommend that employers consider applying for more permanent status for key employees. Please contact our firm if you need assistance in filing your cap-subject H-1Bs this year, or with any other business immigration matter.